Mr.Wensauer has served as Calhoun County Land Bank Authority Board Chairperson since January of 2017, when he took office as the Calhoun County Treasurer. As Treasurer, he is the custodian of all County funds, serving as the County’s banker and investment officer. He is responsible for the collection of real property taxes turned over as delinquent from the local units of government (cities, townships and villages.) The County Treasurer is also the designated foreclosing governmental unit for the County and follows statutory procedures for moving real property through the process of tax delinquency, forfeiture and foreclosure due to non-payment of property taxes. Mr. Wensauer has worked in the for-profit and non-profit sectors, and also worked in finance at the County Road Department. He is a native of Battle Creek and a graduate from Western Michigan University. Ms. Gray was appointed to the Calhoun County Land Bank Authority Board in 2010. She is a member of the Battle Creek City Commission, representing Ward 2. Ms. Gray is employed as a Development Officer at the Battle Creek Community Foundation where she works with donors interested in establishing funds for the betterment of the community. She is engaged in several community organizations and events, including Delta Sigma Theta Sorority, Inc., a public service sorority; the Urban League of Battle Creek; the Battle Creek Area Chamber Ambassadors Committee; and others. She holds a bachelor’s degree from Eastern Michigan University and a master’s degree from Spring Arbor University. Mr. King was appointed to the Calhoun County Land Bank Authority Board in 2015. He currently chairs the County Board of Commissioners, and serves as the representative for Emmett, Athens, Newton, and Leroy townships. Mr. King owns and operates King Jewelers, as well as DTK & F Holdings in Battle Creek. He is a member of the Calhoun County Parks & Recreation and Kambly Living Center boards, and is the chair of the 2015 United Way Campaign. Mr. King is a graduate of Harper Creek High School. Ms. Reid was appointed to the Calhoun County Land Bank Authority Board in 2017. She is currently in her second term as a councilperson for the second precinct in the City of Albion. Ms. Reid also serves as a member of the Albion Planning Commission and as the chairperson of the Holland Park Transformation. She served as a past president of the Albion branch of the NAACP, as an Albion College student mentor, and retired from her role as a teacher in the Albion school system. Ms. Reid has an associate’s degree from Kellogg Community College and a bachelor’s from Michigan State University. 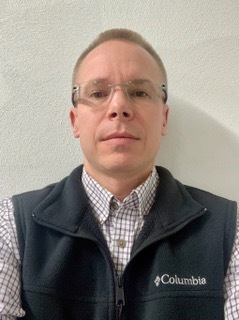 Mr. Farmer began serving on the Calhoun County Land Bank Authority Board in January of 2019. Zoning Administrator and Permit Coordinator for Convis Township since 2014, Mr. Farmer was elected to the post of Supervisor in 2016 and serves in that capacity as well. He is also a member of the board for the Area Metropolitan Service Agency (AMSA) and serves as a special deputy on the ALURT dive team with the Calhoun County Sheriff’s Department. Mr. Farmer owns and operates a home design company in the Marshall area. Mr. Farmer is a graduate of Kellogg Community College. Mr. Hart was appointed to the Calhoun County Land Bank Authority Board in 2017. He is an independent contractor with the City of Battle Creek where he serves as the City’s Downtown Development Director and as the liaison to the Columbia Avenue and Dickman Road Business Improvement Districts. Mr. Hart works to retain and recruit businesses, guides redevelopment projects, and also assists in the city’s downtown marketing efforts. Mr. Hart has more than 25 years of experience in the community development field and prior to his current role he spent over 9 years as Community Development Director for the City of Hastings. He formerly worked for the City of Albion, the Battle Creek Area Habitat for Humanity, and Neighborhoods Inc. of Battle Creek. Mr. Hart has a bachelor’s degree from Eastern Michigan University. Mr. Reed began serving as an At-Large representative on the Calhoun County Land Bank Authority Board in January of 2019. 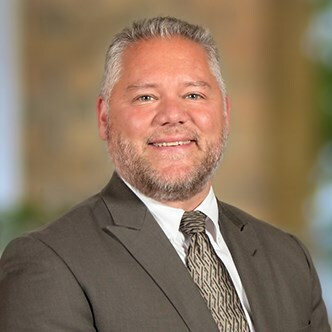 Former Mayor of Marshall and currently Vice President & Mortgage Sales Manager of Chemical Bank, Mr. Reed brings a wealth of knowledge and expertise to the Board. Mr. Reed attended Eastern Michigan University.